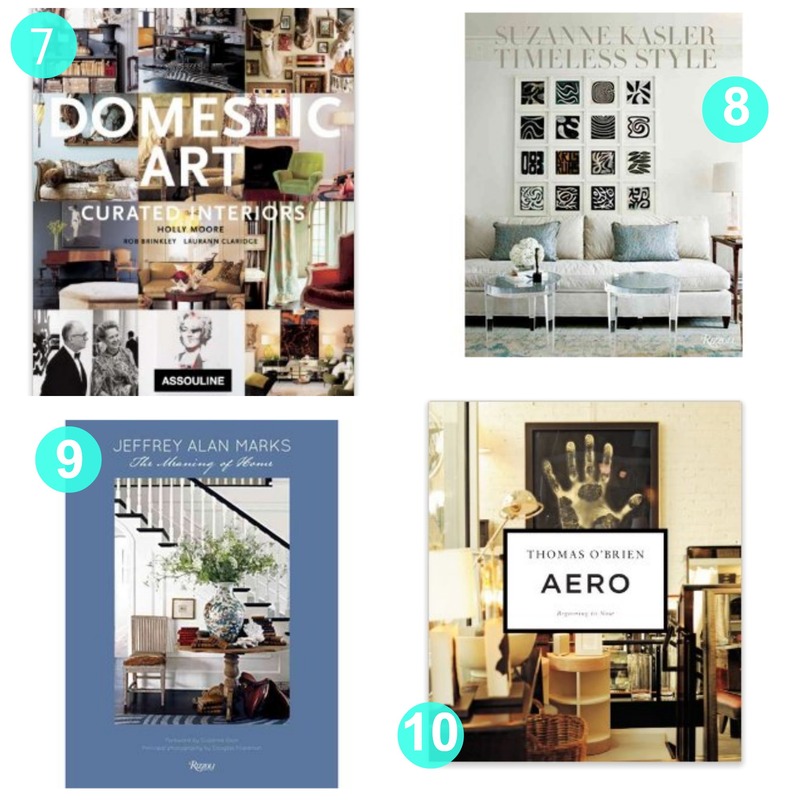 Tuesday Ten: Best Design Coffee Table Books | Havenly's Blog! Confession- for a significant portion of my life, I did not understand the allure of the coffee table book. The budget shopper in me loathed the idea of dropping hard earned cash on a moderately expensive picture book when all of those very same exquisite photographs were accessible to us online. Convinced that the coffee table book was for my mother’s generation, I thought the visual stimulation provided by Pinterest, Facebook, & Instagram was more than enough to satisfy my desire for pretty things. Well, just between us– my mother had it right all along! Each coffee table book we own evokes memory of a vacation, a shopping excursion, a particular holiday or season, a loved one. I honestly wish I’d started accruing them much earlier in life– so many experiences/endeavors I could be visually reminded of on a daily basis! One of my favorite things to do at night when my husband works late is to curl up in our bed with our puppy, light a candle and dig into a new design book. I could spend hours on each one– poring over the beautiful images on every page and the stories and thought behind them. 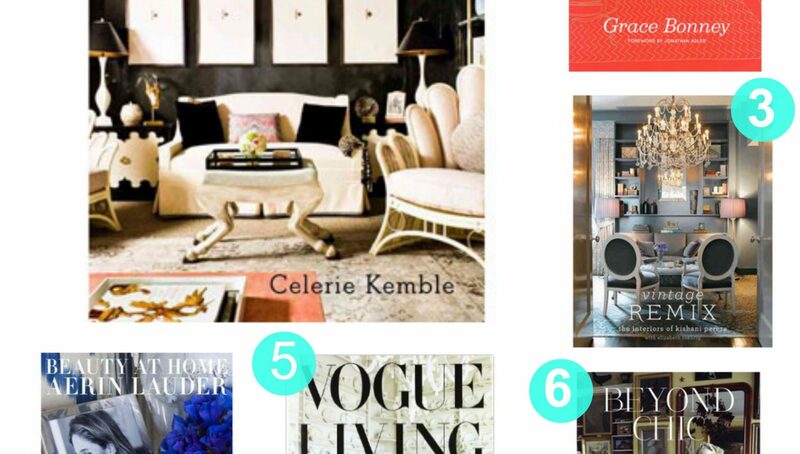 And truly– even if you’re not interested in reading them– they have the potential to add color, height, and interest to practically any flat surface in your home. Such a simple accessory goes a long way! 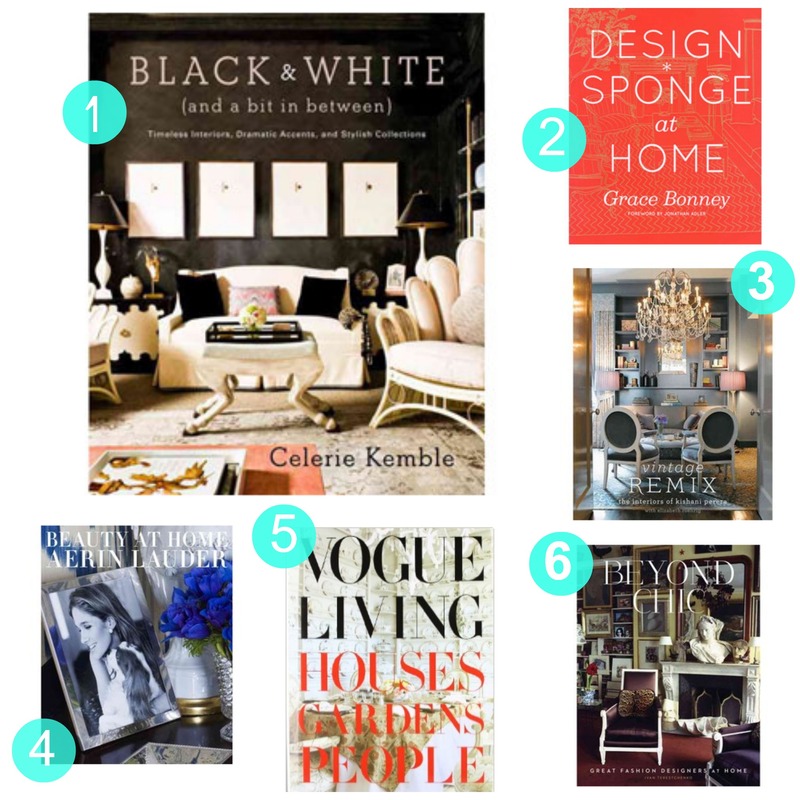 My coffee table book wish list is always changing, but here are my current 10 best interior design coffee table books to own, love, and display proudly! In no particular order…. Stay tuned for an exciting giveaway. Don’t miss it– follow us on Twitter and Facebook to get the scoop!